Residents raise alarm over influx of suspected armed herdsmen in Ilorin, as police disclaim – Royal Times of Nigeria. Residents of Kwara state have raised an alarm over the allocation of a parcel of land at Opolo, in Ilorin South Local Government Area, as a settlement for herdsmen. The Emir of Ilorin, Alhaji Zulu-Gambari had given out the land in a bid to douse the brewing tension between the authority of university of Ilorin and Fulani herdsmen who formally settled on the institution’s land. 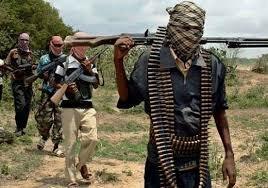 Some residents who spoke with our correspondent said some group of armed herdsmen have taken the opportunity to relocate to the state. Some eye witnesses said that the group arrived the city on Sunday. They however called on the emir to direct the leader of the Fulani group to always report to him before accommodating any herdsmen in Opolo community of Ilorin. The spokesperson of the emir, Mallam Abdulazeez Arowona, who spoke with our correspondent, noted that the land was legally allocated to Fulani herdsmen that are part of the Ilorin Emirate. The emir called on security personnel to arrest any suspected criminals in the state. 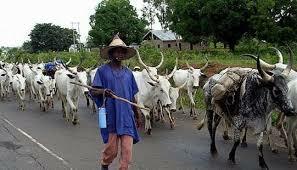 Reacting to the development, the police public relation officer, DSP Ajayi Okansami said migration of armed herdsmen into the state has not been reported to the police. The state commissioner of police, Aminu Pai Saleh said the state is still very free of armed headmen, adding that the command will continue to ensure peace in the state.